“Cricket is a game of glorious uncertainties” is a mantra repeated umpteen times by cricket commentators. These uncertainties of the game have grown manifold and have invaded the minds of the followers of the game and a cricket connoisseur’s tussle to solve these intricacies has dragged the game into excel spreadsheets and statistical calculations. The statistics involving cricket has grown into such a huge volume which can now be glorified to be among the biggest statistical data pertaining to a sport in the world. These statistics can not only be used to glorify some average cricketers but also be used to cast doubts on the credentials of some established ones. This article raises question marks on the two established stars of Indian cricket not only based on statistics but also on the commonly applied yardsticks in international cricket. International cricket is all about matches in various parts of the world and the stalwarts of the game are those who prove their worth irrespective of the playing conditions in various parts of the world. Test cricket is always considered as the ultimate test of character and ability for any cricketer and a match winning performance away from home conditions always draws the biggest accolades from cricket aficionados. Rating the real worth of a cricketer’s performance has become a task nowadays and adulated coverage by the media complicates it further. Inconsistent selection policies plagued by nepotism and incompetence have made the career of Indian cricketers vulnerable to public opinion which are most often devoid of sound statistics and influenced mainly by the first impression created. Indian selection has plummeted to such a level that for a player to bloom, he should be selected at the right time and this right time is always his luck factor. What is this luck factor in Indian cricket? It is undoubtedly a series of matches in the subcontinent for a batsman or a spinner and a series of matches outside the subcontinent for a fast bowler. A new player is always under scanner, more in Test matches than in ODIs and a few good performances in ODIs seem to protect this player from the scanner and there lies the folly. Vijay and Abhinav Mukund lost their places in Test team due to them not playing ODIs and Suresh Raina and Yuvraj got an extended run in Tests due to their ODI performances. This luck factor is something which is prevalent in any career and it has been globally accepted that the luck always favors the brave. But this luck factor is proving to be a bane in Indian cricket and the careers of two stars of the current team will reveal how this luck factor enabled them escape the initial expert scrutiny. A Test opener’s technique is an important point of debate and scrutiny for former openers turned commentators like Gavaskar, Boycott and Arun lal during any overseas tour. S. S. Das, Vikram Rathore, S. Ramesh, Aakash Chopra and W. Jaffer were some of the players who failed to live up to the standards set for a test opener by these gentlemen. Despite all these standards, the search for a Test opening pair for India ended in two unconventional batsmen viz. Sehwag and Gambhir. How did Gambhir cement his place as an opener when some conventional openers like Chopra and Jaffer failed? Here is where statistics come handy. The answer is simple, the timing of their entry into international cricket. Jaffer played 31 Test matches between 2000 and 2008 and 18 of them were outside the subcontinent and 5 of his first 10 tests were in West Indies and England. Don’t forget that West Indies had a better attack in 2002. Aakash Chopra played only 10 Test matches but 4 out of them were in Australia and 2 in Pakistan. He did well in Australia but went out of favor due to his slow batting. Gambhir has played 44 Test matches so far but has played only 10 matches outside the subcontinent. Out of his first 10 Test matches only 2 were outside the subcontinent and that too in Zimbabwe. And to add to these statistics, he was the only player who played ODIs continuously for India. His attacking batting combined with better understanding with his Delhi team mate Sehwag was an added advantage. Though Gambhir has played a lot of Test matches, he is yet to prove his credentials in trying conditions outside the subcontinent. He still continues to be in the team despite not scoring a century in 29 innings in 16 Tests since January 2010. Abhinav Mukund who was tried in West Indies and England has now been discarded despite his decent show and now with Ajinkya Rahane in the team, he is set to become another opener who made his entry at the wrong time. Why different yardsticks for different players? After Nayan Mongia became a dubious character in Indian cricket, the selectors search for a wicket keeper batsman ended with M. S. Dhoni. Vijay Dahiya, Sameer Dighe, M. S. K. Prasad, Deep Das Gupta, Ajay Ratra, Parthiv Patel and D. Karthik were dropped either due to their poor keeping or poor batting or some unknown reasons. It was Kumble’s bowling more than their poor keeping that led to the downfall of Parthiv and Karthik as keeping to Kumble in Indian conditions was a tough task for a new comer. Dhoni did better and was persisted more because of the frustration of the selectors in not finding a better solution than Dhoni’s ability. Dhoni’s attacking batting in ODIs helped him escape the scrutiny of the so called experts behind the microphone. Dhoni too has fumbled with gloves like the others and his batting outside the subcontinent in Test matches is still unproved. The partisan attitude towards Dhoni is evident even in commentary when the BCCI sponsored commentators say “He almost fumbled” when Parthiv clutches on to a catch by his fingers, but keep quiet when Dhoni does the same. None of the above keepers got a continued run in ODIs like Dhoni. Dhoni has played 23 of his 64 Tests outside the subcontinent and is yet to score a Test century. All his 5 Test centuries have come in the subcontinent. If the same yardsticks applied to the other keepers were applied to Dhoni, I doubt whether he would have continued in the Test team. Statistics clearly prove that Indian selectors apply different yardsticks while persisting with players for key positions in the Test team. Test cricket needs specialist players and ODIs should not become the gateway for the players to Test cricket. Indian juggernaut rolls on. India’s dream run at home continues. Sports journalists showered words of praise on the Indian cricket team for their recent one day international series victories over England and West Indies in India. They have forgotten the Indian team’s pathetic show in England recently. With a tri-nation series in Australia approaching, what purpose these home matches have served for Indian cricket is a matter to ponder for cricket aficionados. Injuries combined with the overdose of cricket compelled the BCCI to rest many senior stars for these home ODIs. But this also dished out a golden opportunity to the Indian selectors to groom new replacements for the current stars. But to everyone’s dismay, the BCCI and its selectors have proved once again that they are least interested in the future. What have they done wrong? The answer to this question, though lengthy, will be easier than finding an answer for what they have done right. Circumstances forced the Indian team management to find a new opening pair of Parthiv Patel and Ajinkya Rahane in England. They did considerably well in the trying circumstances in England. It is more difficult to groom a new opening pair than a new player. Knowing this well, the Indian selectors could have continued with them for the ten ODIs in India. Even though both these players were part of the team, the selectors never seemed to imagine about such a possibility. This pair was never given a continued run and both these players were on trial thereby spoiling their confidence. Were the selectors expecting 38 year old Tendulkar and 33 year old Sehwag to continue as openers for a long time? With Gambhir being injury prone and a one dimensional player, it is time the selectors start looking for a new opening pair. The selectors and the team management should have guided Parthiv and Ajinkya and molded them as a reliable opening pair. Number three or one down is a very crucial batting slot in any form of the game and India is yet to find a good replacement for Dravid for this position. Virat Kohli has relished this position and has done well in the recent past. The Indian selectors and the team management could have instilled confidence in him to take over this responsible role. Lack of a fast bowling all-rounder has been haunting the Indian side ever since the retirement of Kapil Dev. Apart from Irfan Pathan, the Indian selectors have not unearthed any other options so far. But India seems to have discovered a spin bowling all-rounder in Ravindra Jadeja. He is a compact batsman and should be sent ahead of Raina in the batting order. Ashwin and Vinay Kumar also seem to have batting abilities and the ODI series at home could have been used to unearth their batting talents. Rahul Sharma was given a chance only at the end of the West Indian series and so was Manoj Tiwari. If they were not needed for these matches, instead of sitting in the dressing room, the BCCI could have released them to play Ranji Trophy matches for their state. Umesh Yadav and Varun Aoron demonstrated the importance of pace in international cricket and the selectors still seem unwilling to shed their old habits. They have gone back to Mithun and Vinay kumar who lack pace. T P Sudhindra of Madhya Pradesh, Shami Ahamed and Ashok Dinda of Bengal should have got a look-in in these inconsequential ODIs. Going by the current form, Abhishek Nayar also should have got a recall as a seam bowling all-rounder. The stand in captain Sehwag was not good enough and openly criticized the top order for their failure thereby putting pressure on the top order. But he still continued to play some irresponsible shots. India need to look beyond Dhoni as captain and the selectors wasted a golden opportunity to groom Virat Kohli for the future. The BCCI should stop treating ODIs at home as sources of revenue. Each series should be planned with future in mind. For example, a series in Australia should not be preceded by a series at home. The selectors should have confidence in their abilities and should not drop a player based on public opinion. The case of Ravindra Jadeja clearly proves how the public opinion can go wrong. Can we expect any planning for the future from the BCCI who is unwilling to listen to Anil Kumble’s plan for NCA? If Kumble is giving up, I don’t see any light at the end of the tunnel. An Australian tour always provided an ultimate test of character for any cricketer and remained a tough frontier to conquer for any team. The pace and bounce of the Australian pitches combined with its bigger boundaries intimidated the batsmen from the subcontinent to such an extent that a big innings in Australia is epitomised as his ability to play quality fast bowling. Off-spinners struggling, fast bowlers bowling a wrong length, fielders struggling with their throw from the boundary, wicket-keepers fumbling are all common problems faced by the teams from the subcontinent in Australia. The Australian media are well known for their attack on opposition captain and almost all sub-continental teams have had some bitter experience in the past. Yet another Australian tour is round the corner for the Indian cricket team. Indian selectors have announced a 17 member squad for the four test series which looks strong and well balanced in paper. But for any cricket connoisseur, this team does not inspire any confidence. Though this team has a set of talented youngsters and established stars, the way this team has been groomed as a unit and its preparation for this tough tour has raised the eyebrows of many. Having followed many Indian tours of Australia particularly the last two in 2003-04 and 2007-08, this team for me, does not look strong enough to conquer Australia even with their new look side. India drew the series 1-1 in 2003-04 and lost 2-1 in 2007-08. Sehwag, Dravid, Tendulkar, Laxman and Zaheer who were part of those two tours are still there in this team. Dhoni toured Australia in 2007-08. Team with 6 experienced players should have an upper hand against a new look Australian squad. But a look at the performances of the 6 Indian experienced stars makes me jittery. Zaheer is coming out of an injury. Though Sehwag has scored a few half centuries after his come back, his performances have not been convincing. But Sehwag is unpredictable and can fire any time and India’s performance in Australia depends to a great extent on the innings he plays there. Dravid has been in great form and should continue his dream run in Australia. The whole nation is waiting for a century from Tendulkar and this expectation seems to affect the great master. Despite his big knocks in India, Tendulkar does not look to be in a good rhythm. Laxman has always produced some wonderful performances against Australians, but age seems to have caught up with him. His feet are not moving like in his younger days and with his slow reflexes, he can be a burden on the field in Australia. Dhoni has a dubious batting record outside the sub continent and his keeping has also not lived up to the expectations recently. Australians are well known for their meticulous planning and they are sure to exploit the above weaknesses of Indian stars. It will be the first test series in Australia for Gambhir (though he impressed in the one-day series there back in 2008). Kohli is yet to cement his place in the test squad and his weakness against short pitched balls which became evident in West Indies will be exploited by Australians. He needs to display how he has rectified this short coming. Rahane and Rohit Sharma are yet to make their debut in test cricket and don’t expect to play any part in the test team unless any of the batsmen gets injured. Only one among the two spinners will play in 3 test matches except in Sydney. Praveen Kumar, Umesh Yadav and Varun Aaron will relish the conditions and it is up to them to make their presence felt. Saha will be a mere passenger unless Dhoni gets injured. India needs to play Umesh and Varun in all the test matches and knowing the leadership style of Dhoni, it looks a distant dream. What is lacking in this “strong” team compared to the previous tours? To be honest, this Indian team lacks characters, those who have the guts to fight it out in the middle and those who can inspire others with their cameo. India will surely miss players like Saurav Ganguly, Sreesanth and Harbhajan. It is not that these players should be included in this squad, but this team lacks “something” which these players have which will help them fight against all odds. What could have been done to improve India’s chances? The West Indian tour to India ahead of this Australian tour is a big blunder. The flat pitches here did not help the cause either. The Indian selectors and the team management never bothered to groom the players. Rohit Sharma was identified as a test batsman very late and the captain did not have the courage to play him in place of an established star even after winning the series. Same is the case with Rahane. The Indian selectors have still not identified the players to replace the 3 greats. They should have played Rahane and Rohit by resting Dravid, Tendulkar and Laxman in rotation. Now it is suicidal to blood these batsmen in trying conditions in Australia in case of a crisis. Parthiv Patel as a reserve keeper would have solved the batsmen’s injury worries considering his experience in Australia. Why the selectors don’t consider him as a batsman despite some crucial knocks against Brett Lee and Shoaib Akhtar is still a mystery. By denying a chance for Umesh Yadav and Varun Aaron to bowl in tandem in Mumbai, the Indian team management missed a golden opportunity to groom a new fast bowling pair. With a captain who wants the Indian test pitches to assist spinners from the first day onwards, this was not unexpected. The years 2003 and 2007 left the Indian cricket lovers broken hearted due to the Boxing Day test matches in Melbourne. The year 2011 seems to end in the same note. Unless the Indian openers give a sound start and our team management gives up their defensive thinking and our new fast bowlers rip through the Australian batting line up, this Indian team don’t seem capable of presenting a happy 2012 to its fans. Good Luck Dhoni and team. Series Review: When 100 overs a game proved impossible! Indian team will be very much pleased with their performance over the last 3 weeks against England in the ODIs. Even though the series score tell us that England beat India 3-0, the psychological feeling of players reveal that the team India played much better cricket than England. The Indian team was fooled by ICC / ECB / BCCI in awarding the shorter format cricket through D/L method as 50 Overs One Day international Tournament. England captain won the toss for five consecutive games reveals that there is fair amount of good time / luck surrounds him and his team. ICC cheated fans across the globe by completing a 50 over ODI series without a single match completing the quota of 50 overs by both the sides. This is ridiculous act by ICC and shame on them on not utilizing the basic technology available to them in framing the fixtures of the series. 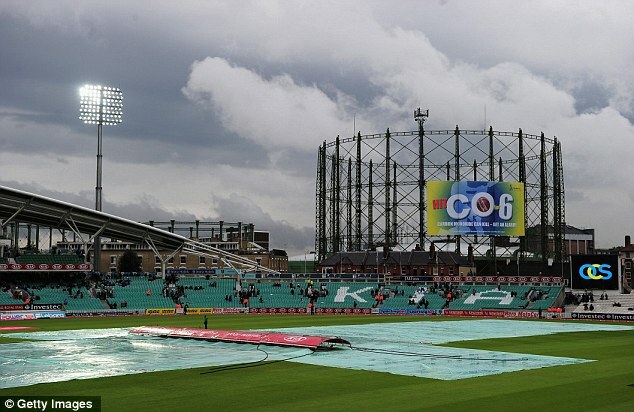 When there was a clear indication of weather issues before start of the ODI series ICC either would have called off ODI series or changed to a format of 35 over new International format for the 5 games scheduled for the tour. One should not measure the performance of Indian bowlers during this series as none of the match played the quota of 50 overs. A series that will be remembered as much for the rains as anything else. Injuries to several key players during the tour, the Indian team shown exemplary performance on their batting and improved show in the bowling with the resources at their disposal. The weakness of England bowlers was exposed during so called the ODI series. Except Swann, every other English bowler failed to make any impact against this young and inexperienced Indian lineup. Indian bowlers tried their best but it was really hard for them to bowl in English conditions where the match format changed after every rain interruption. India would have ended up with a more respectable series scoreline if any of the match been played the quota of 50 overs on both sides. Parthiv making a comeback, Rahane on other hand making his debut, Rahul inclusion to the side after to ODI format and these 3 players formed the most critical batting position and made a reasonable contribution to the team in the series. On the other hand, Dhoni and Raina, short of runs in Tests, came back strongly and played some wonderful cricket. Jadeja played some good cricket when the team needed. India made a commendable total against tough bowling attack in English soil [274 (50) – 1st ODI, 187 (23) – 2nd ODI, 234 (50) – 3rd ODI, 280 (50) – 4th ODI, 304 (50) -5th ODI]. Once the top players are fit and make a comeback to the side, team India might easily score 300 to 350 against this English attack on Indian soil. The team management and BCCI should look at the positives from the tour and build the stronger team for the future. The focus of BCCI should be picking right talent and framing a team that can play for next 5 to 8 years. Also BCCI should not make any hasty decision on players / captain / coach of the team based on one or two series failures. India needs to have backup players and use them effectively in the case of injuries to their main players. They need to be given fair chance to play in every series by resting the main players. The team management should keep focus on these players and enhance their skills both in Test and shorter variants (Kohli, Raina, Rahane, Rohit, Manoj Tiwary, Jadeja, Ashwin, Praveen, Munaf, Varun, Parthiv, Ishant, RP Singh). In the recent series Indian pace bowling lacked line, length, mixing of deliveries and pace. Former fast bowlers should come forward and guide the young bowlers to scale up to the next level. Also, the batsmen should stay at the crease for longer duration and convert their scores in to bigger ones. The truth of life was revealed during this series. The team which is World No. 1 on Test International and World Champion on ODI’s failed to win a single match on the tour with their class players who helped the team to win plenty of series for India at home and abroad. Before start of the series, fans, reporters and former players across the globe predicted that India will beat England on their home soil comprehensively. The reality is different of course and may there be enough steps taken to get the team back on track. And quickly.